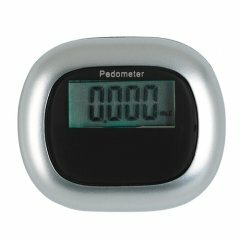 Do you run a physical fitness product business or a health care business? 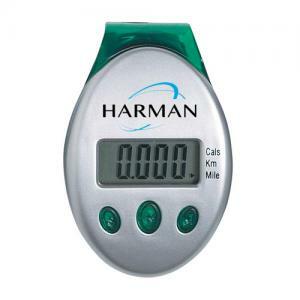 Then you are definitely on the right place in search of a promotional item. 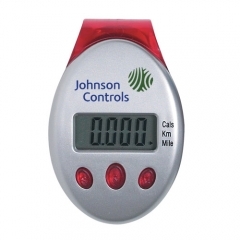 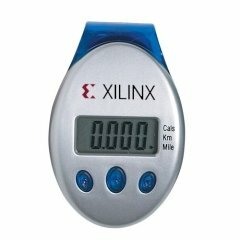 A custom deluxe multi function pedometer is the item that best suits your promotional needs. 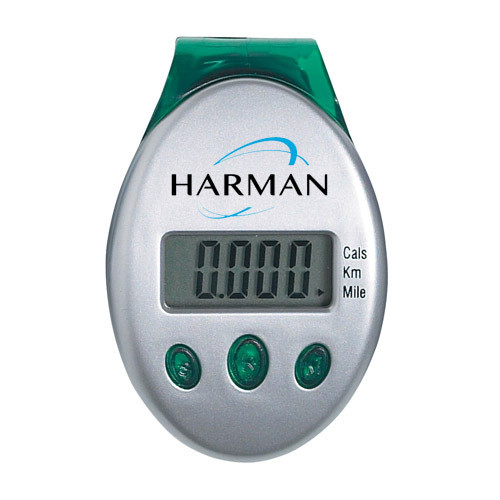 This green colored gadget gives enough space to imprint your brand logo and name. 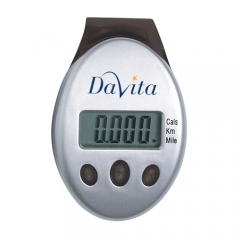 When you gift your customers or employees with it, they will certainly display your brand name to others too. 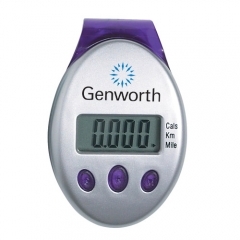 This utility gadget will be used every day during their work outs to count the steps taken from 1 to 99,999. 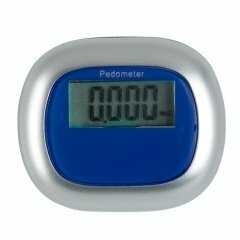 The tri function green promotional deluxe multi function pedometer serves your customers by showing them the kilometers as well as miles covered and the calories burnt during their workouts. The personalized deluxe multi function pedometer has a molded clip on back belt to facilitate convenient attachment.